The Class of 2013: YA Superlative Blogfest (hosted by Jessica Love, Tracey Neithercott, Alison Miller, and me) runs Monday, December 16th through Thursday, December 19th. All of our fantastic participants will highlight favorite books published in 2013 using a variety of fun superlative categories. 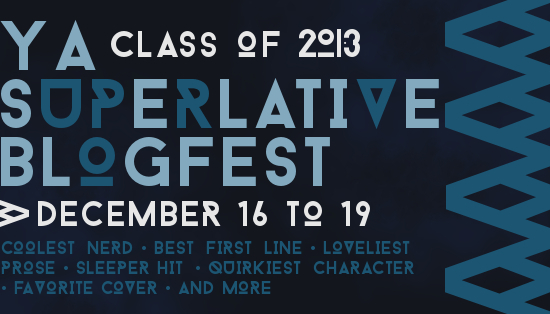 The Class of 2013: YA Superlative Blogfest is all about promoting the extraordinary young adult books published this year, so if you haven’t already, draft a post and sign up to participate at the end of this post. We can’t wait to see your favorite reads of 2013! It’s a toss up between Abigail Haas’s Dangerous Girls and Jessi Kirby’s Golden. Both books are exceptional contemporaries. I love the twists and sense of unknowing in Dangerous Girls, and I envy the way Jessi Kirby so seamlessly weaved past and present story lines into Golden. 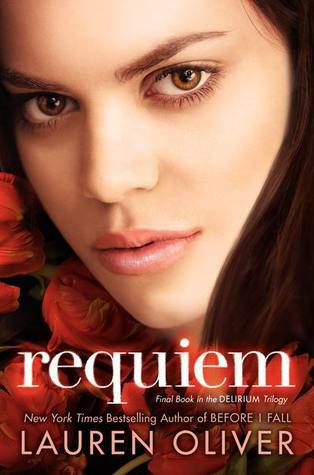 Another toss up… The ether storms in Veronica Rossi’s Through the Ever Night terrify me, and the idea of a world without love as depicted in Lauren Oliver’s Requiem is equally horrifying. Come to think of it, there’s not a dystopian setting I’d want to visit. I’ve not been to Nantucket, but Leila Howland’s debut Nantucket Blue made me want to book a summer house there. She describes the beach and the town and the people and the foods so clearly. I could feel the sand beneath my toes. 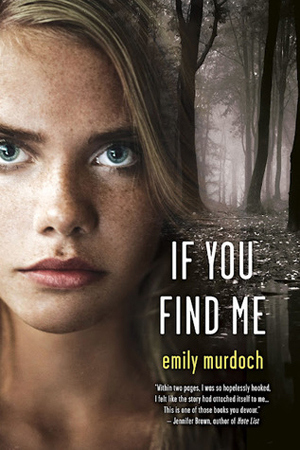 I’m not usually fan of dialect in novels, but Emily Murdoch pulls it off beautifully in her debut, If You Find Me… My sister don’t talk much. When she does, it’s only to me, in moth-winged whispers, and only when we’re alone. The entire story is this gorgeous and evocative. 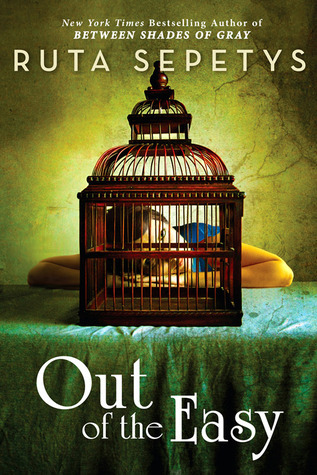 Out of the Easy by Ruta Sepetys: My mother’s a prostitute. Not the filthy, streetwalking kind. She’s actually quite pretty, fairly well spoken, and has lovely clothes. But she sleeps with men for money or gifts, and according to the dictionary, that makes her a prostitute. 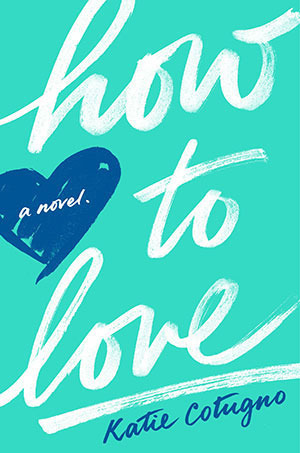 Reena Montero from Katie Cotugno’s How to Love is one of my favorite protagonists ever. She’s can be irresolute which makes her relatable, but she’s also strong and funny and loving and smart. I’d be her friend in a heartbeat. I could go with Allegiant, Dangerous Girls, or Shades of Earth here, but the final lines of Katja Millay’s The Sea of Tranquility gave me actual, physical chills. Breathtaking and moving… I loved it. 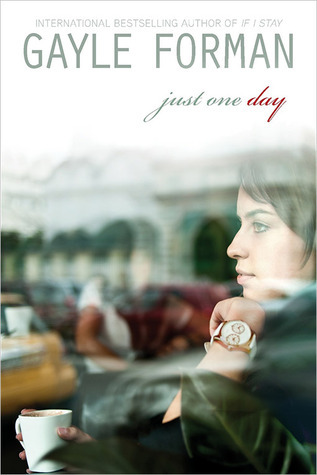 Dee from Gayle Forman’s Just One Day. I had so much fun reading the scenes he shared with Allyson, and I appreciate how he’s more than just the fun best buddy type. He’s got depth and does his own growing as the story progresses. 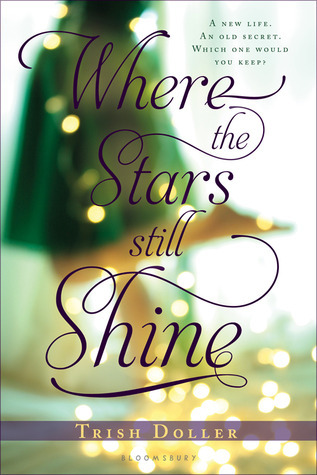 I love Trish Doller’s Where the Stars Still Shine for its characters and intense emotionality, but I also love it for its messages regarding forgiveness and family and kindness and love, and how it’s possible to recover and start over. Don’t forget to link your “Elements of Fiction” post below! I forgot about Dee! That was such a good pick. You have a lot of books on here that I haven’t read, but I liked seeing your take on them. Thanks, Liz! I’ve thought the same about your lists. You’ve read many more dystopians/fantasies than I have. I love to get recs in those genres from your blog! I’ve never been to Nantucket either, but definitely would. I love east coast beaches.You’re not alone in your love for THE SEA OF TRANQUILITY, which I hadn’t heard of (though you probably did mention it in WUW when you were reading) until this week. I am anxious to check it out now! Oh, it’s amazing, Rebekah! Definitely one of my contemporary favorites of the year. I hope you get to read it soon! I agree about GOLDEN! 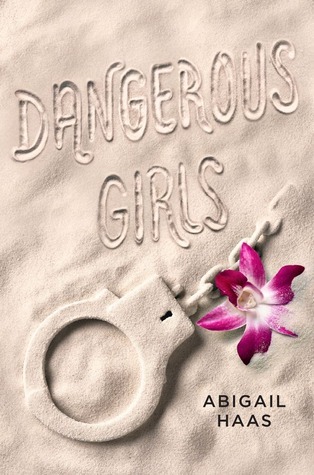 I need to read DANGEROUS GIRLS. I’ve actually thought a lot about which dystopian I’d like to live in/visit! ha. I want to live in MATCHED. 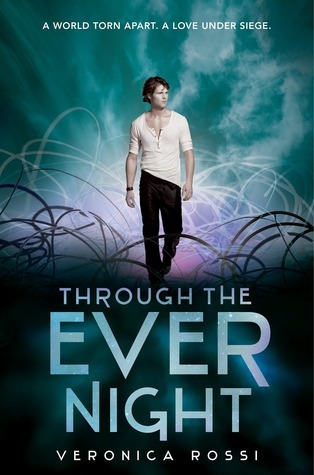 The first book only though (the 2nd was boring and I haven’t read the 3rd). I just found that whole world so fascinating! I was fascinated by the MATCHED world too, Zanne. I recently read PERFECT RUIN by Lauren DeStefano and it was another dystopian setting that intrigued me. I loved how Jessi Kirby wove the bits of Robert Frost poetry into GOLDEN. That was one of my favourite parts of the book. That first line of OUT OF THE EASY is incredible! I have it on my shelf as we speak, and I really need to read it already. I think 2014 might involve a brief-ish ban on buying new books until I make a serious dent in my TBR shelf! I think you’ll like OUT OF THE EASY, Jaime. It’s one of those books that I have absolutely no criticisms of. I adored main character Josie and the New Orleans setting. Plus, the writing is fab. 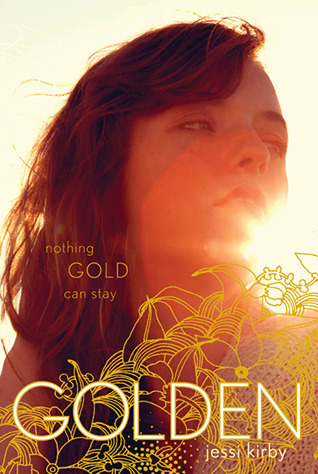 I keep hearing about Golden, so I think I really need to move it higher on my TBR list. I also loooove that line you included from IF YOU FIND ME. I will definitely look into that one now. 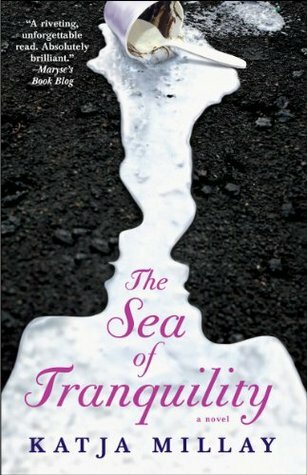 I bought The Sea of Tranquility a while ago, and what you’ve said about the ending is motivating me to finally pick it up. I love powerful endings! Your reaction kind of reminds me of how I felt about the end of THE SUMMER PRINCE, which was my pick for that category. I haven’t read THE SUMMER PRINCE, but if you had that sort of reaction to the ending, clearly I need to. I’ll add it to my list! GOLDEN and NANTUCKET BLUE were both really great contemporaries, Kari. I definitely recommend them. And I know what you mean about the importance of these decisions — I’ve stressed over my picks! I loved Dee! I can’t believe I forgot about him – totally would’ve tied with Roar. And if Second Chance Summer had come out this year, I probably would’ve chosen that for my favorite setting, because I love reading about beach towns (which means I need to read Nantucket Blue soon). Roar is a great pick for Best Supporting Character. He’s one of my favorites in that series. And I agree with you about SECOND CHANCE SUMMER. That book made me want to rent a cabin on a secluded lake. Sounds so lovely! You’re so right about the ending to The Sea of Tranquility. I think I sat and stared at the last sentence with my mouth hanging open for a few minutes when I was done. So amazing. Yes! Definitely a holy-hell-I-have-shivers moment. So good! 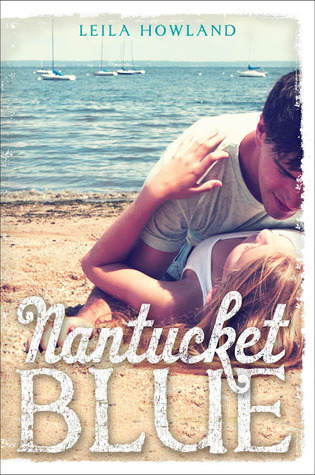 I haven’t read NANTUCKET BLUE yet either so that will definitely be on my list for 2014. Now I also want to read THE SEA OF TRANQUILITY! I love how these lists are getting me excited about books I haven’t read yet.